I bought this foundation 5 weeks ago and I had been using them quiet a lot and I decided to review it and give my thoughts about this foundation. Since it's getting cooler I need a foundation that's a bit lighter because my skin tends to be drier to normal on cooler months than on summer. I had been a MAC foundation fan for so long so I decided to try some other brands and decided to go for Chanel. 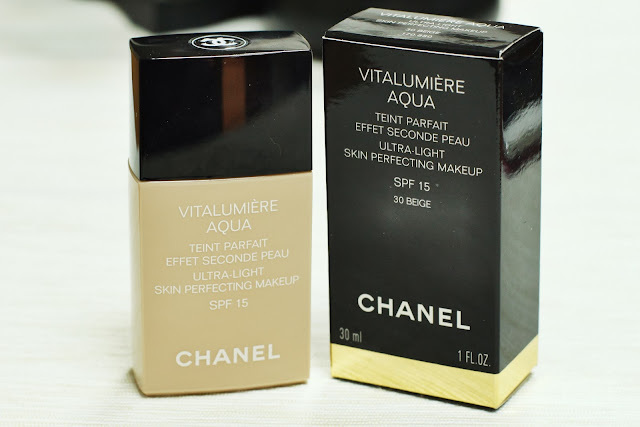 So I went to Sephora to check the Chanel and ask the lady on the counter of what foundation is best for me and she gave me the Chanel Vitalumiere Aqua Foundation which is very lightweight and good as everyday foundation. 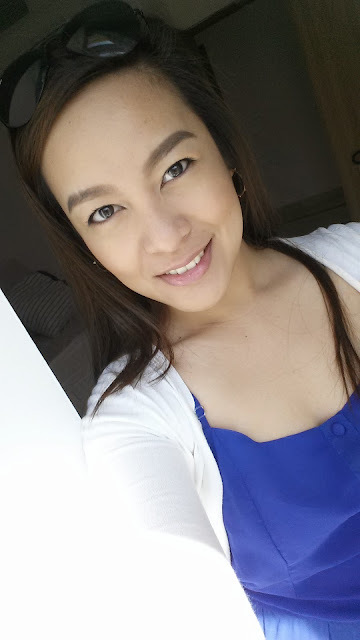 When it comes to foundation I tend to go for a lightweight and not too thick and heavy like my MAC Studio Fix Foundation. The lady matched me on the shade B30 which I think is my perfect match at first I though it was B40 but it was a bit dark for me. The packaging is very sleek and great for traveling. It's made of plastic so it won't explode on your luggage very practical I should say. The box packaging is very Chanel, like a classic Chanel design which is black with white writings and gold accent. It's a water based formula so it's very liquidy and you need to shake it really well before using it because it separates. It's advised to best apply it with your fingers than any other brushes and avoid using sponge or else it will just absorb the foundation. I can say that the coverage is sheer to medium. It claims to look very natural like a second skin, which in my opinion it does actually gives a second layer of perfect radiant skin. It looks very velvety not dewy and not matte just a fresh skin look. But if you have a flaky dry skin it will emphasize it. If you have oily skin you need to wear a primer. I wear a primer only on my T zone area just to make it last longer. You will also be needing a concealer to conceal some spots that is still peeking through.You will also notice a fragrant scent to it, it doesn't bother me at all because it's very pleasant but if you're very sensitive with smell on your foundation you need to take it into consideration because it's quite a strong scent. It also has an SPF 15 so good for everyday and a little white cast in flash photography. Overall, I like this foundation, the formula and result is awesome. The downside for this foundation is that you need to moisturize well if you have some flaky spots especially around the nose and on your chin. I'm not sure if you can say that the price is also a downside of this product though it's expected because it's Chanel. It cost AED 215 for 30ml of foundation. If you're looking for a natural everyday foundation with SPF this is for you but if you're looking for a natural foundation but without SPF you should try the MAC Face and Body foundation.